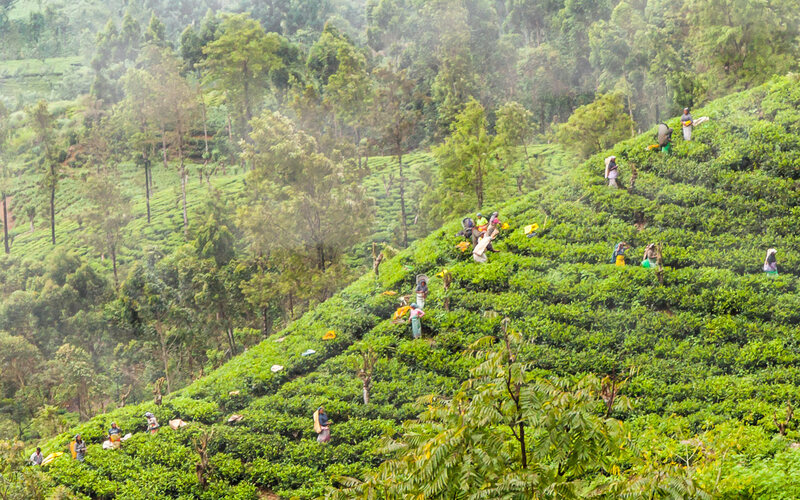 The train journey through the hill country of Sri Lanka which transports you from the second city of Kandy right through to Ella takes just over six hours, but can be broken up to stop along the way, Nuwara Eliya is an ideal place to stop for a few days and explore the local tea plantations. Often called one of, if not the most beautiful train journey in the world I was pretty damn excited to get on board. Trying to reserve a seat the day before It was a no go as they had already been booked so just rocking up on the day was the only option for me, but perhaps these tips will get you better prepared. 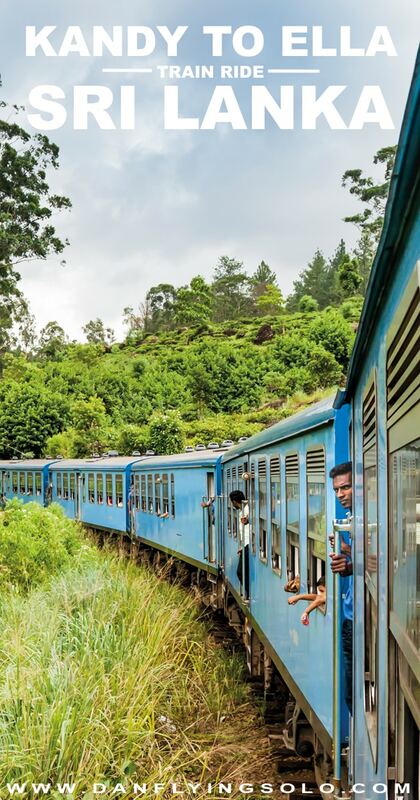 This train journey is without a doubt one of the top things to do in Sri Lanka. 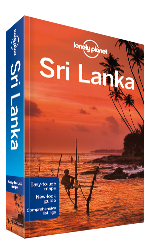 Train travel in Sri Lanka is relatively cheap, the route is served by a both slower trains as well as newer ‘blue’ trains, which are slightly faster. The first leg of the Kandy to Ella train journey involved a crazy scrum in getting on board with bags, babies and anything else being thrown through windows to get a coveted place to sit! I missed the seat lottery but took prime position hanging out the open doorway for the next few hours which is kinda right where you want to be and one of the reasons if you get an unreserved ticket, squeezing in last minute might not be such a bad idea. First class comes with air con which means no windows to get those shots out of, third class looked seriously busy and not suitable for snapping away so a second class ticket is a sure fire bet (see tips on booking tickets below). The landscape this journey takes you through is indeed, stunning. Tea plantations, waterfalls, rolling mountains, clouds and mist all add to the picture perfect movie playing out in front of you. Given how slow you are travelling it goes surprisingly quickly, which with a backdrop like this is not a good thing. The second leg to Ella for me sadly had two issues going for it. The first being the clouds and mist pretty much hiding much of the landscape for the journey. The second being the six armed police escorting someone in our carriage which was shut, so the toilet/door area become a very comfy home for a very amused bunch of us as we made the final leg on to Ella – hopefully, your Kandy to Ella journey comes with better luck! There are around 3-6 trains serving this route each day, though reports suggest this has now increased. Some on the slower trains, some of the more modern fast trains. Some of the Kandy to Ella train services start in Colombo, some end in Badulla, others only complete a part route. There are overnight sleeper services straight through from Colombo to Ella but I only recommend this if you are getting back and have witnessed the journey in the day time. Reserved tickets can be booked up to 30 days in advance but only in person (expo rail can be booked online, see below) – 1st, 2nd and sometimes 3rd class offer reserved seating in carts which then mean you are guaranteed a seat and no one (perhaps) standing around you. You can either try to book these when you arrive at Colombo/Kandy or ask your accommodation to secure them before you arrive. Due to how competitive getting these tickets are, many agents will now bulk buy them when the 30-day window opens and then sell them at a more expensive price. Have a google for reliable agents online, or check the comments below for any recommendations from people who have recently used one. Unreserved tickets can just be got on the day, but get there early to ensure there is still one available for you. Like I said above, 2nd class unreserved was pleasant but 3rd class looked much harder to enjoy the views from. Don’t panic if you go a few days ahead to buy tickets and are told the train is full, they just mean advance tickets have sold out but will go on sale again the day of departure. The expo rail cart is a more expensive option and now appears to add to most journeys with a five-times a day service. The bonus of this is the all glass front or back window, but unless you have the front seats it will likely be the same view as first class – it also completely removes you from the ‘experience’ of Sri Lanka train travel. That said, it can at least be booked easily online. To get to Kandy or Ella, for the starting point you have a few options. The Kandy to Ella train line does actually start from Colombo, meaning should you wish to head straight to Kandy that is possible. 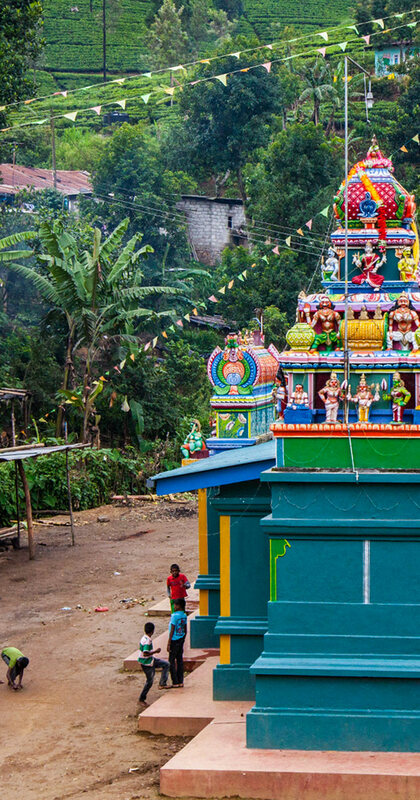 Bus connections from other parts of the historic triangle are a good bet, Dambulla, in particular, seemed to have regular yet unorganised connections which would take you to Kandy. Hiring a private driver may also be a good, time-saving option. Ella is a little bit more removed, and here I opted for a private driver to go towards Yala park / Matara and the beaches on the south. Buses leave Ella on the same route around 9 am each day from the Curd shop on the left-hand side of the dusty main street, but check in with locals for more up to date timetable information. There seemed to be a handful of taxi drivers based in Ella itself as a backup. 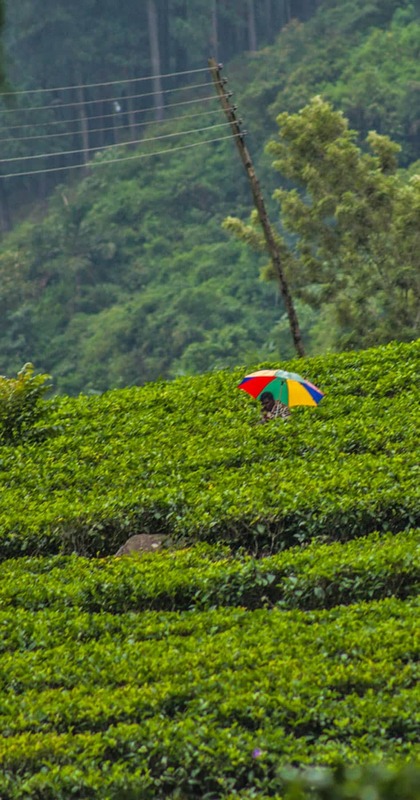 There are some beautiful colonial tea stations to stay at on the Kandy to Ella train route, modern and chic apartments and more traditional budget guest houses. I personally stayed at OZone hotel in Kandy for its rooftop pool looking over the city, The Tenth Hotel in Nuwara Eliya for their sheer hospitality and would highly recommend the eco-lodge feel of 98 acres in Ella, which is set aptly in 98 acres of lush tea plantations. You can find out more information on all the stunning places I stayed in Sri Lanka here. Hi Paayel, if you hire a driver for the week it will be much easier as you can connect to places quicker and nothing is actually that far if avoiding public transport. Feel free to get in touch at me@danflyingsolo.com if you need any further help. What were the toilets like on the trains? Were they clean? Was it a bumpy train journey. Clean ish, nothing fancy. It’s quite a slow one so not too bumpy. Fantastic, glad to hear it was handy planning your trip. I haven’t personally done the Horton Plains so can’t really give a subjective opinion. The train is worth doing I think either way though the first hour or so out of Kandy isn’t as interesteing where as NE – Ella is all tea and hills which makes it more exciting. Ella has a lovely sleepy vibe to it with a bit of a backpacker bar feel to it by evening. I think it will also depend where you are heading to after that, if you are going on to the coast or Yala etc as getting around the country is by far the hardest bit. I’m heading back in a few weeks for the second time to do the north and have opted to have a driver for most the trip because with time constraints it seems to be the best option. Hope that helps a litle. Enjoy! So pleased to find your blog. I’ve booked a little tour in late August with a company called Best of Lanka as we have limited time and wanted to get to Kandy, the train and Yala. Their website recommended the train trip from Kandy to Ella and I asked them to put it on our tour. I now find out they have booked 3rd class tickets for us and assure us it is impossible for us to get 2nd class. I’ve paid a lot for this trip and I’m now a bit worried (especially as my husband has a bad back!) What do you think? Have an amazing time, it will be great. The third class looked very hectic to me, the only way to get around it I suggest would be to get there super early and get on 1st so you get a seat, that said expect a big push/fight to get in before the locals have the seats. The alternative would be to go the day before and see if you can get 2nd class tickets, they do 2nd class unreserved carriages where you aren’t guaranteed a seat but at least will have a bit more room hopefully. Great blog guys and very informative. My husband and I are planning to visit Sri Lanka in August this year for 4 days (unfortunately cannot increase the number of days! ), but cant wait to see the beautiful country. We are planning to visit Nuwara Eliya, Ella or Kandy. Since we are there only for 4 days cant decide which place to skip. 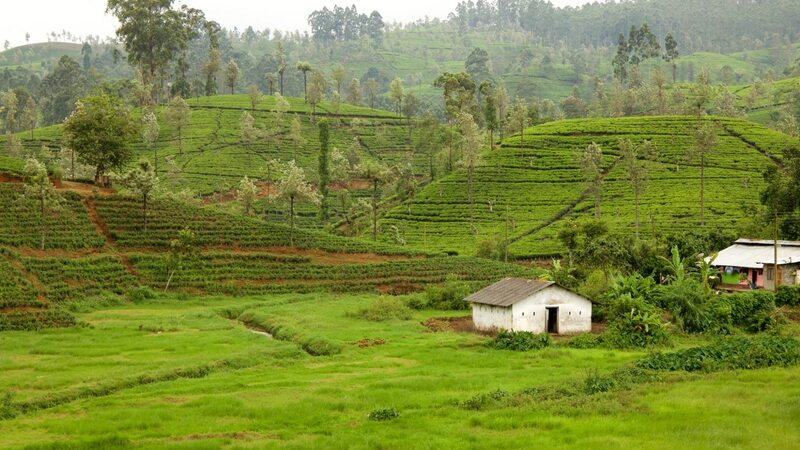 Pls help us decide if Nuwara Eliya is better or Ella. Or should we go to both the places and skip Kandy. We are keen on taking the train journey too. Pls suggest. Oooh thats such a tough call. Honestly, I did like Kandy but beyond the temple I could have happily just spend a few hours there so if you plan to train that would be an option. 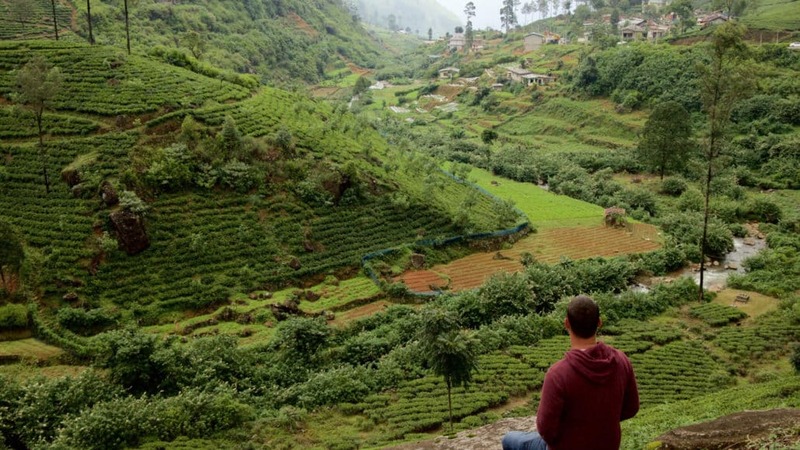 Both Ella and Nurwara Eliya offer simillar with hikes and tea so I would say pick what works best with your schedule although I did personally prefer the vibe in Ella. Have an awesome time! 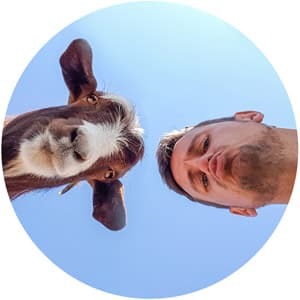 So far your posts on Sri Lanka have been the most useful (and with the best photos) I’ve found on the Internet! Congratulations! We are also taking the train from Kandy to Ella and then going to Yala National Park. I read you “opted for a private driver to go towards Yala park”. Could you give us some more information on how to get a private driver to get us from Ella to Yala? Thank you and keep posting nice stuff! Hey Goncalo, Glad it has been helpful. I literally met him in Ella at the taxi rank the day before and arranged to hire him for the next day. It wasn’t so busy when I was there though so can’t say if it would always be that easy. Have a great time! Hi Dan! Enjoying your blog, reading up on Sri Lanka before our Easter trip! We know it´s gonna get crowded on the trains at that time, and as you and others recommend we want to get on the 2nd class from Kandy to Ella. Just wondering if you are familiar with any of the agents who appear to handle booking of also 2nd class tickets on travlleres behalf, such as Have you heard any reviews – do they deliver what they say? Thanks! It seems Sri Lankan tourism is quite aware people want the 2nd class train tickets… depending on where you try to buy them agents buy up the tickets and then you can only get it through them. We basically had to engage a driver in order to access the tickets. We don’t regret that, but it was costly. If you are planning to do a tour or engage a driver for any part of the trip, I would get them to get the tickets on your behalf. We had an excellent driver and passionate tour guide for the Anuradhapura to tea country leg, Deshan Wathsala, whose tour page is on facebook. Hi Dan – love the blogs, very informative. I’m just wondering you you could give me Some accommodation advice – I will be travelling with my boyfriend at the end of May. We are starting in Colombo and then getting the train along to Kandy and then on to Ella – with potential stops along the way in Hatton, Nanuoya and Haputale. Love your blog, it’s been most useful for us in our research before getting to Sri Lanka! Quick question – on the train from Kandy to Ella, is it better to get window seats on the left or the right side of the train? We’re getting our hotel in Kandy to book for us and we want prime photographic position! Thanks so much Natty. From Kandy to Ella I hung out of the door on the right hand side so can’t comment on the views from the left but views on the right were incredible. I feel like for quite a lot of the trip the right hand side must have just had a high rising mountain to look at. Have a great time! Great post! Is there a particular website for booking second class tickets? As far as I know at the moment you can’t book 2nd class tickets online annoyingly. I would highly reccomend any of the beaches between Unawatuna to Mirissa on the south coast, pretty chilled out and very beautiful. You can find a private beach most the time, crack open a coconut and enjoy it all to yourself. Busses will usually end up being your best friend in Sri lanka – cheap but can be pretty slow depending, especially if you want to get down to the coast without having to back track. I don’t remember there being a train from Kandy to Sigryia, I took a bus the other way and it took around three hours. After seeing Dan’s photos of the train through hill country I knew I had to go. It’s just as amazing as Dan suggests! I am in Sri Lanka at the moment and I so glad we took train from Colombo to Kandy then Kandy to Ella. I recommend contacting your hotel in Colombo to see if they can purchase your train tickets to Kandy if you are concerned about time (ours did, Ivy Lane). We have found that you can hire taxis from one destination to the next if you do not want to take bus. You’ll want to find other travelers to see if want to share cost otherwise it could get expensive. We are in Arugam Bay at the moment and discovered many people hired taxis to/from Colombo, for example. Have fun! Dan is right, Sri Lanka is amazing! Thanks so much, Dan! Much appreciated. I hope you continue to enjoy your journeys. You have a new follower! I found your blog/website via an answer you gave on a Lonely Planet question. Your photography is stunning! I see that someone else posed an advice question to you in the comments section, so I’m hoping I can bother you too. I’m traveling to Sri Lanka later this month with my family and we plan to take the train from Colombo to Kandy, spend the night, then take the train from Kandy to Ella. I for sure plan to book 2nd class from Kandy to Ella based on your photos and comments. What class do you recommend from Colombo to Kandy, given it is not as scenic? Thanks in advance for any advice you can give. Your photos have made me SO excited for our trip! Thank you so much :) Really excited for you, it’s such a special country! I personally would still go second class as you can get a lot more of the atmosphere of the journey and the fresh air breeze. Some of the second class cars are just for reserved seating – so if you get one of those you are guaranteed your seats and there will not be any crowds in the isles. The problem is these are often full before the day, so booking a couple of days in advance is a great idea for this – but might not be possible. They do have the expo-cars on some of those routes, which is either the front or back carriages with panoramic windows – I believe although it is much more expensive that it is the only one you can book online in advance. If you haven’t got much time between arriving to Colombo and getting the train, it might be the safest option to be sure you get seats (which depending on how young you kids are you may want to safely know you have) – http://www.exporail.lk/colombo-kandy.php – that is the link to book online then as soon as you arrive to Kandy book your 2nd class leg to be sure you have it. Alternatively, it may actually be cheaper to hire a driver than pay for a family set of tickets for that leg and then you can stop off and explore a little on the way. Any more questions, give me a shout!